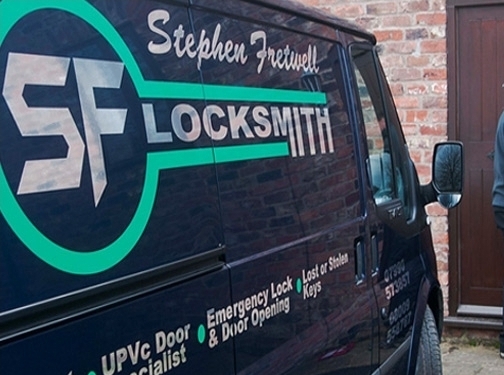 SF Locksmith is a family run business built upon our simple values of providing a reliable, quick and courteous service to all clients across the South Yorkshire region. Our locksmith services ensure that we leave you with peace of mind that your property is safe and secure. Experts in lock repairs, regardless of how old the lock is or who fitted the lock in the first place, SF Locksmith provide a proven, affordable repair service to domestic and commercial clients. SF Locksmith provide a lock fitting service to all types of clients, for all types of property. We also provide a 24 hour emergency locksmith call-out service if you find yourself having lock problems at any time of the day or night. Much of our business is gained from satisfied customers who refer us to their friends, neighbours and family. Many kindly leave their locksmith reviews which are available on the SF Locksmith website. UK (Sheffield) based business - with over 20 years' experience - providing locksmith services. Website includes details of services provided, testimonials, accreditations, terms and conditions, blog, full contact details.